The VR revolution hasn’t swept the world like a lot of people thought it would, and though I still have confidence in the medium as a whole, modern VR also has a lot of room for improvement when it comes to comfort, optics, and affordability. Enter the Reverb. 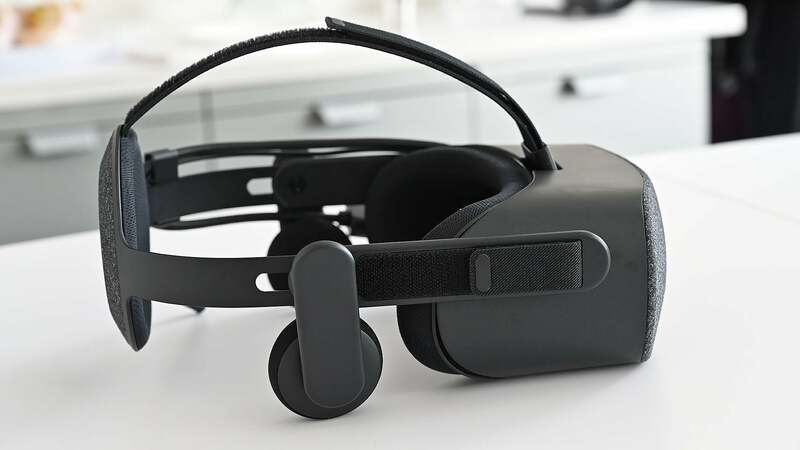 Designed for both commercial and home use, while HP’s handset doesn’t entirely solve some of the biggest issues with today’s VR headsets, it offers a number of improvements in those three big areas. Editor's Note: We're still waiting Australian pricing and a local release date. Starting with the headset itself, both the enterprise and consumer versions feature essentially the same design with a few minor tweaks. On the consumer version, the Reverb gets a removable, machine washable cloth face mask that should help prevent the headset from getting extra funky. The commercial model opts for a pleather face mask that’s easier to quickly wipe down between users, and a dual-pronged cable with short and long cords that make the Reverb better accustomed to working with VR backpacks and traditional tether desktop rigs. But more importantly, both feature a slimmed down chassis that’s around 33 per cent lighter than a Vive Pro. 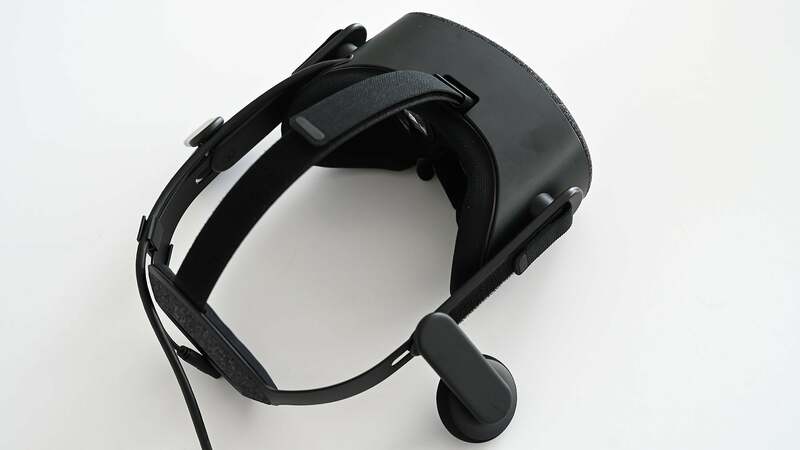 And when you combine that weight savings with easily adjustable velcro straps and a “halo” style headband in back, for me at least, the Reverb feels like the most comfortable VR headset yet. The Reverb also features built-in spatial audio headphones that support 3D sound, though there’s also a 3.5mm jack if you prefer to use your own cans instead. 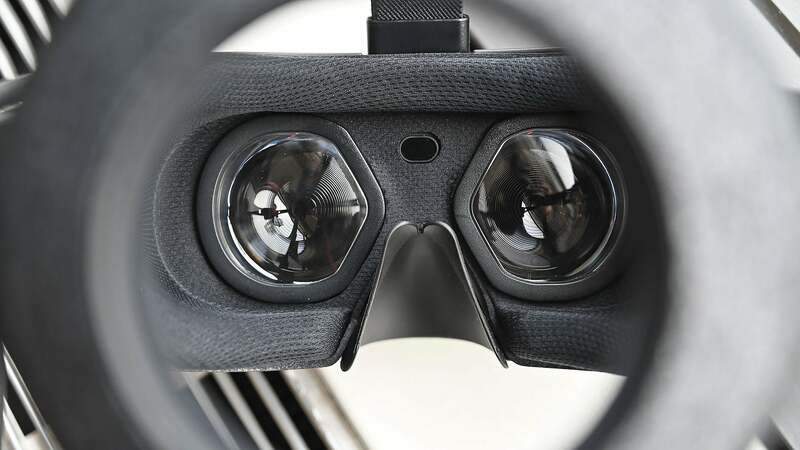 As for optics, the Reverb is pushing resolution further by delivering 2160 x 2160 pixels to each eye, up from the 1440 x 1600 per eye resolution you get on the Vive Pro. 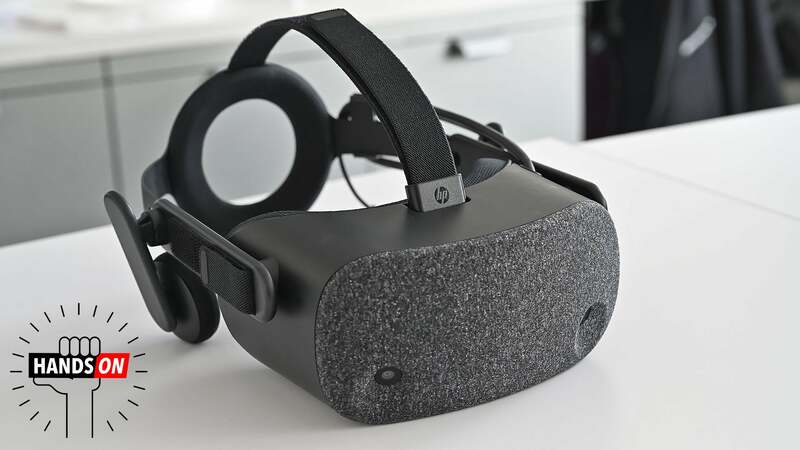 HP also opted to give the Reverb squircle-shaped lenses while shifting the position of the lenses themselves to give users a wider 114-degree field of view. HP says that because of the Reverb’s high-resolution, it was able to forgo using the diffusion filters commonly employed by other headsets to help reduce the screen door effect, which is the pattern of faint black lines that results from being able to see the borders between pixels. And to its credit, the Reverb is almost certainly the sharpest VR headset. There’s very little aliasing (the jaggy lines you sometimes see in video games), and with its 90Hz refresh rate and wide FOV, the Reverb offers a truly expansive view into virtual space. 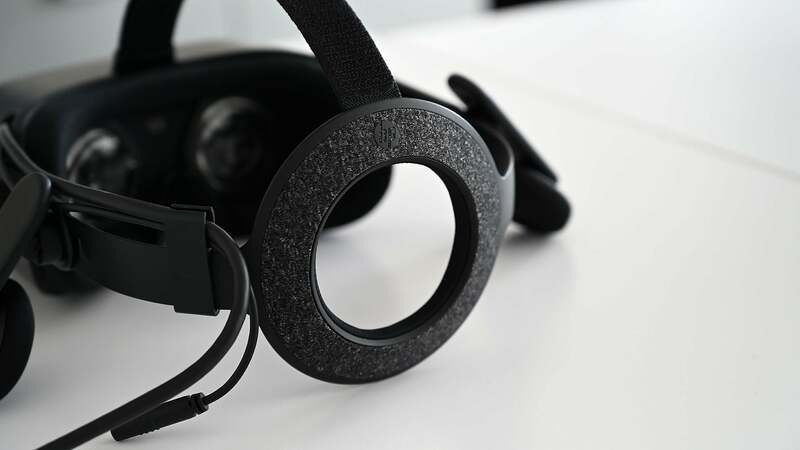 The Reverb’s optics feature an aspherical shape that offers and wider field of view and increases the headset’s visual sweet spot at the same time. You can replace the built-in spatial audio headphones with your own if you want via an included 3.5mm jack. The halo-style headband offers a more comfortable and snug fit compared to a typical headband. The Reverb comes with two Windows MR controllers, so you won’t need any additional accessories out of the box. However, that comes with two downsides. One is that with increased resolution comes increased hardware requirements, with HP recommending users have at least an Nvidia GTX 1080 or AMD Vega 56 GPU. The other bummer is an unanticipated downside, because while the Reverb largely eliminates the screen door effect, by cramming that many pixels together, you can now see very tiny black dots that represents the intersection of four different pixels. 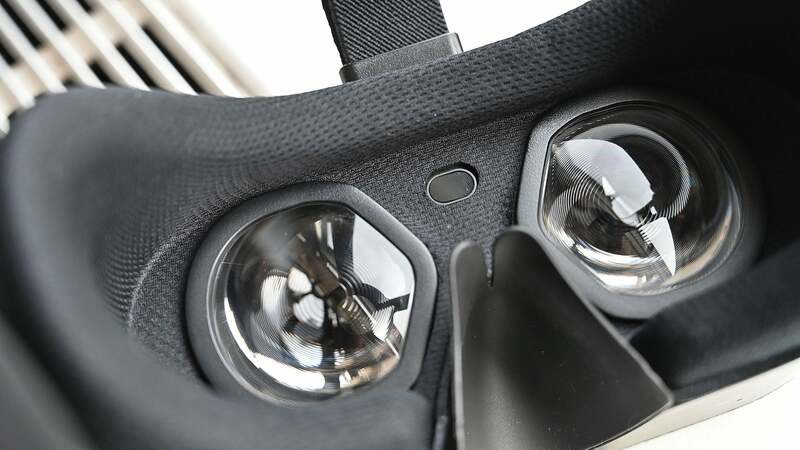 That means the Reverb’s optics aren’t truly crystal clear just yet, but it’s still an improvement from what was available when VR headsets were all the rage back in 2016. 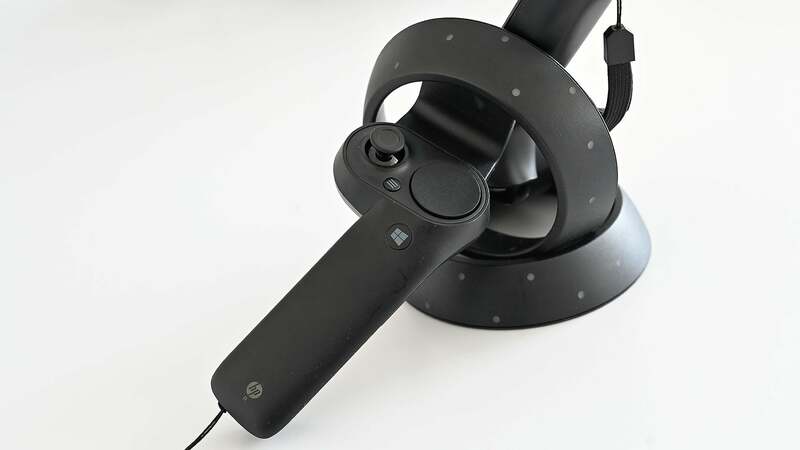 However, the Reverb’s price might be its biggest achievement, because starting at just $US600 ($845), the Reverb (which comes with two Windows MR controllers and all the appropriate cables), costs almost half the price of a $US1,100 ($1,550) Vive Pro starter kit. Also, because the Reverb is compatible with Steam VR, it should be able to play almost all the same games as a Vive or Vive Pro. Still, $US600 ($845) is a lot to shell out for a medium that remains quite niche. But at the same time, look how far VR tech has come in less than three years. 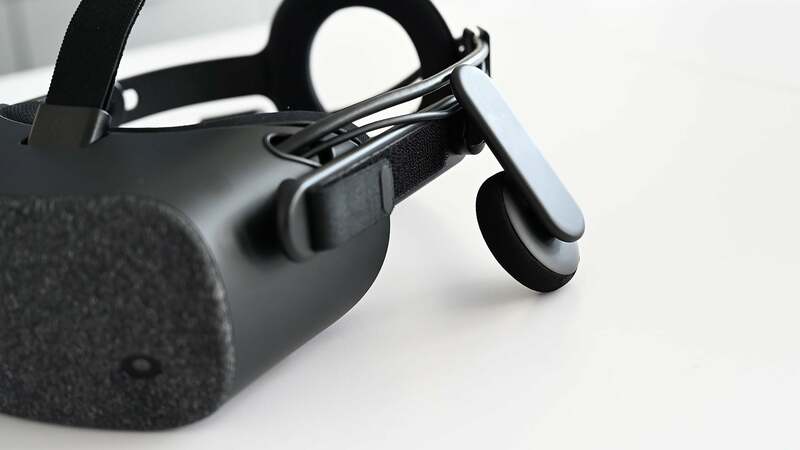 VR is already valuable tech for industries such as engineering, architecture, and healthcare, and with resolution this good, I’m wondering how far away we are from a time when people purchase VR headsets instead of traditional monitors for everyday computing. Hopefully, we’ll know more when the HP Reverb official goes on sale sometime in April in the U.S.